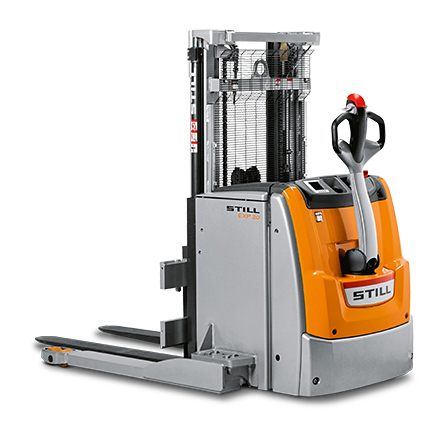 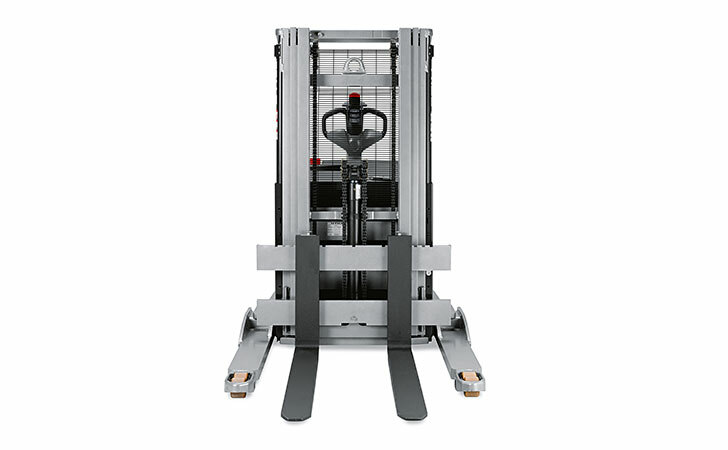 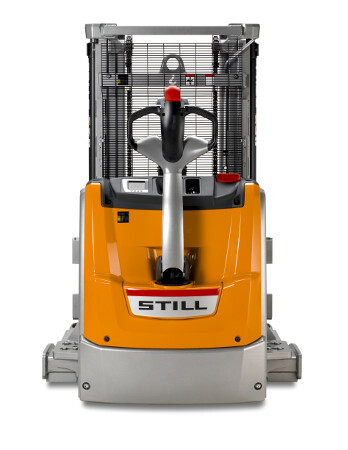 Stronger and more intelligent than the rest – that’s the STILL EXP 14-20 high lift pallet truck. 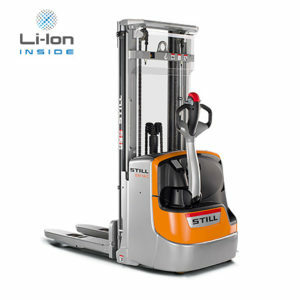 Two of its stand-out features are its huge residual load capacity and its smart colour display. 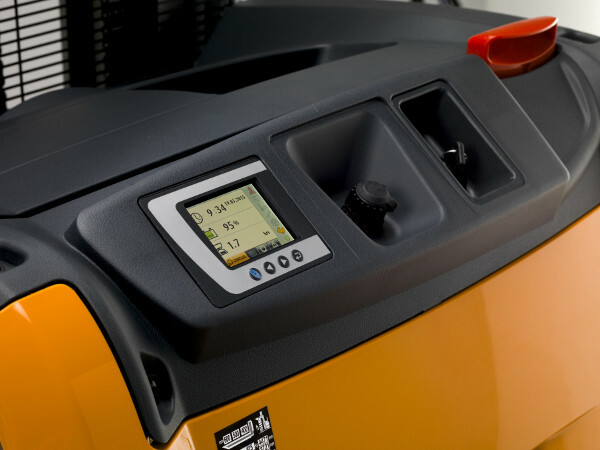 The latter provides the operator with basic information, the truck status or the battery’s state of charge at a glance at all times, and different language-independent symbols provide optimum support in operation. 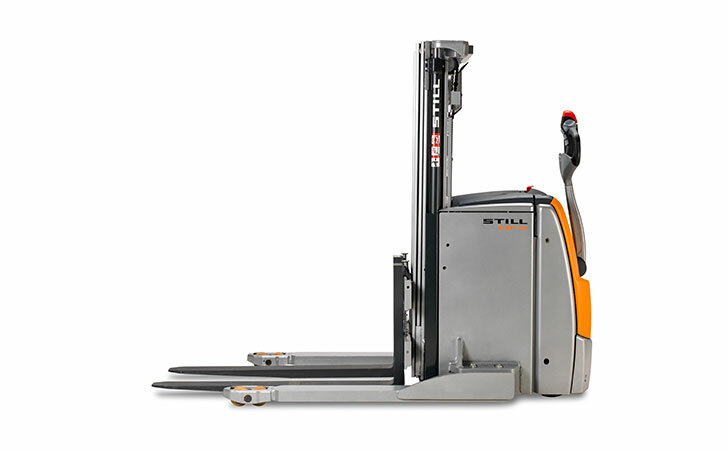 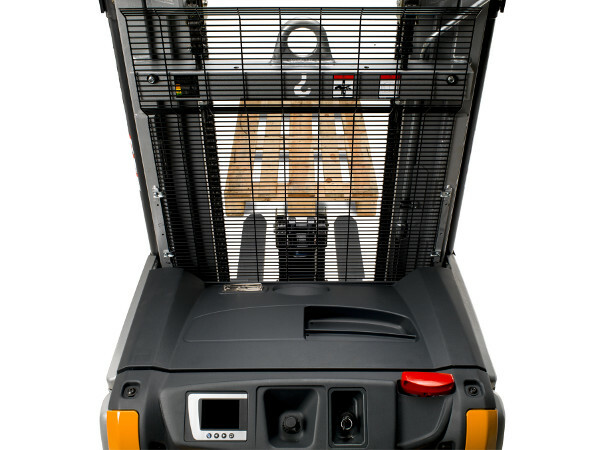 The smart and extremely mobile warehouse organiser moves pallets weighing up to 2,000 kg quickly, safely and reliably. 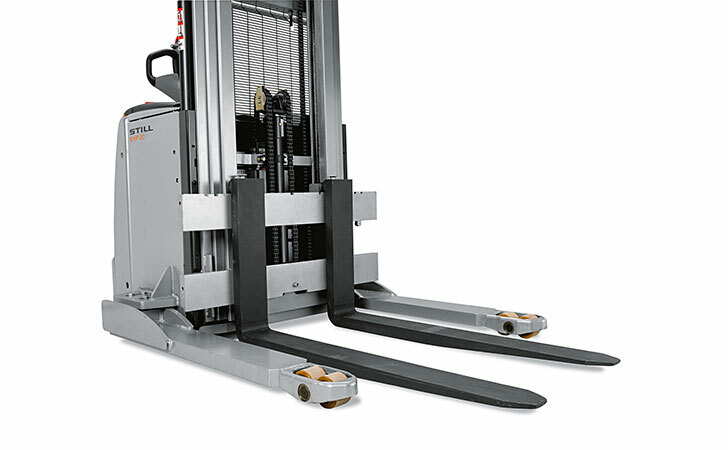 Through selfsupporting and adjustable forks different pallets can be used. 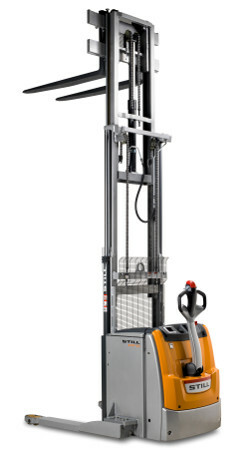 With optional hydraulic functions accessory equipment can be used as well. It can achieve unprecedented reloading of pallets thanks to its powerful and low-maintenance motor and its precise control elements, which are suitable for either left- or right-handed operators. 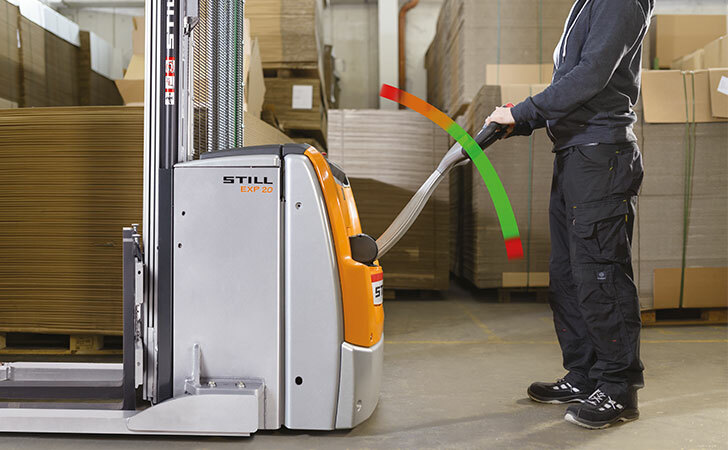 The letters EXP are not, however, just synonymous with quick goods handling, but also with safe goods handling. 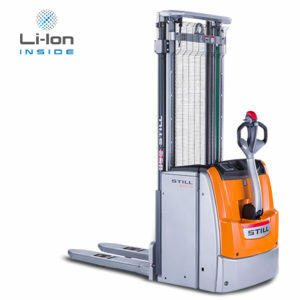 The optional load capacity display shows what is possible. 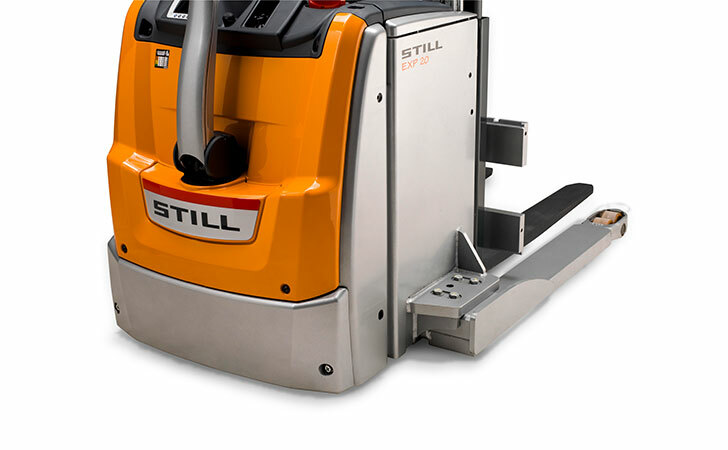 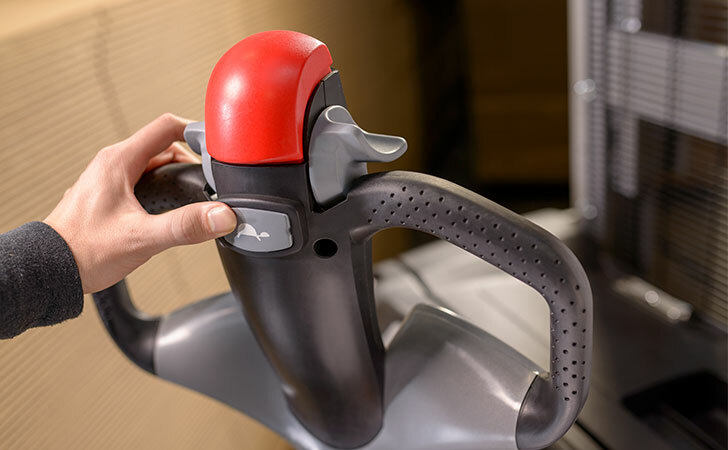 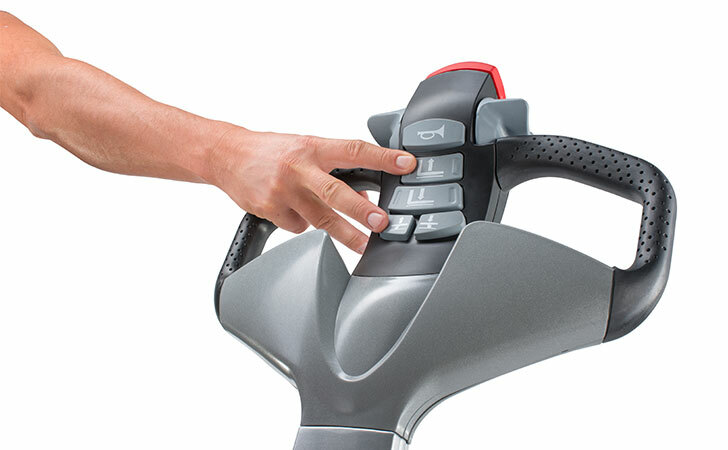 The curved tiller shape and the sensitive impact plate protect the driver, and the EXP stops automatically when the tiller is released – even on ramps. 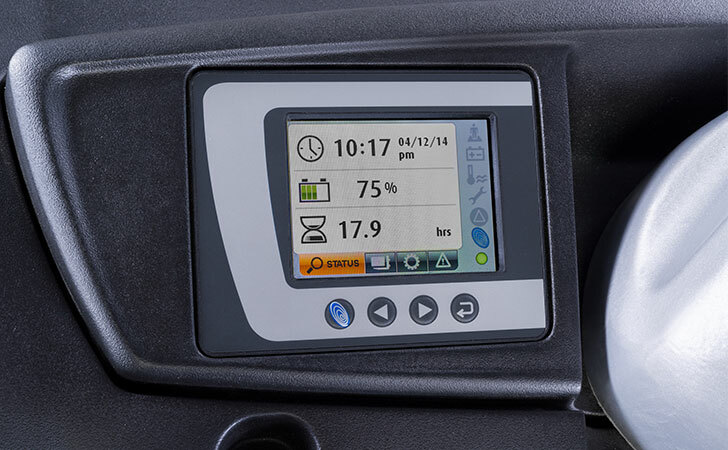 The OPTISPEED tiller also adjusts the speed of the EXP to the distance from the operator, while the Curve Speed Control system regulates the speed around bends. 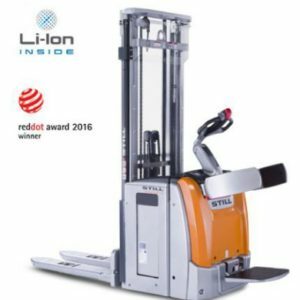 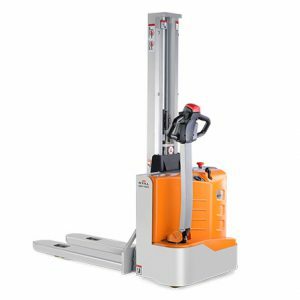 This high lift pallet truck, which is as strong as it is smart, allows you to always keep your flow of goods safely under control; from transporting loads within the pre-storage area to operating the shelving system.